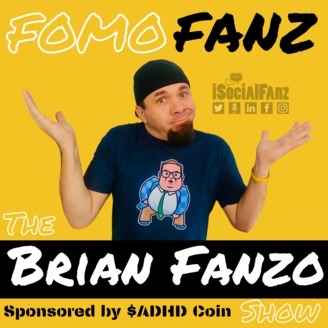 FOMOFanz with Brian Fanzo CEO of iSocialFanz Curing your Fear Of Missing Out around Digital Marketing, Social Media, Entrepreneurship, Personal Branding, Public Speaking weekly. 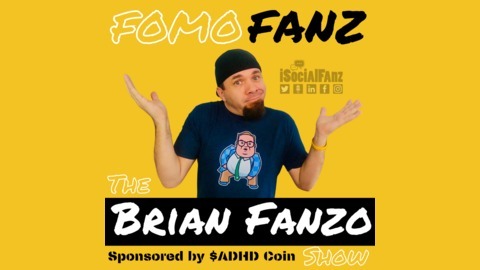 Brian is a millennial business keynote speaker known online as @iSocialFanz who takes pride in living on the bleeding edge of emerging technology and translating the geek speak so businesses can market where their clients are today while listening for where their customers are going tomorrow. How Game of Thrones, Brene Brown & the Beyonce documentary can make you a better storyteller! For the past 3 years I’ve had a notebook on my coffee table or really multiple notebooks where I record different notes, emotions and thoughts while binge watching tv. Now just to put it out there I LOVE binge watching tv shows and find its a hobby of mine that allows my brain to switch gears much in the way going to the gym for some people helps them avoid burnout. The “tv notetaking” started with simple notes or ideas that were invoked while watching my favorite shows like Parenthood or Sons of Anarchy or Making of a Murder documentary and then I began to be more structured in my notetaking. Now when I watch shows I first watch an episode or special with the goal of consuming it as a fan but often times I go back and consume it a second or third time with the goal of studying and analyzing the storytelling. This past week I took structured detailed notes while watching 3 drastically different programs: Game of Thrones, Brene Brown Netflix Special and Beyonce Homecoming documentary and I was blown away by how much I learned and how I could take something from each to improve my storytelling on my new speaker website, my podcast content and how I tell stories both on video and on stage as a keynote speaker. On this episode of FOMOFanz I share the structure of the notes, what I look for and how I connect what I learn about camera positioning in Game of Thrones to how I will stand and position a story I plan on telling next week on stage at an event I’m speaking at. Funky and Fun, The Mantra of Future Generations! 098: What We Must Do To Lead With Empathy!